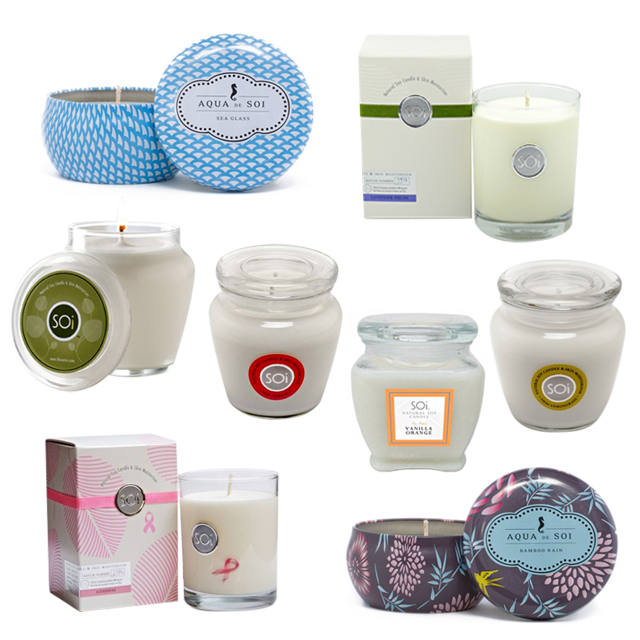 have you heard of The Soi Company candles? My obsession with candles has begun. I've always liked candles but I think this year I would be going deeper to understand and review the popular ones. I think I'll stop shopping for skincare now because damn, I got so much of it! My blog name should be renamed to the obsessive hoarder and I shouldn't be allowed to have credit cards. 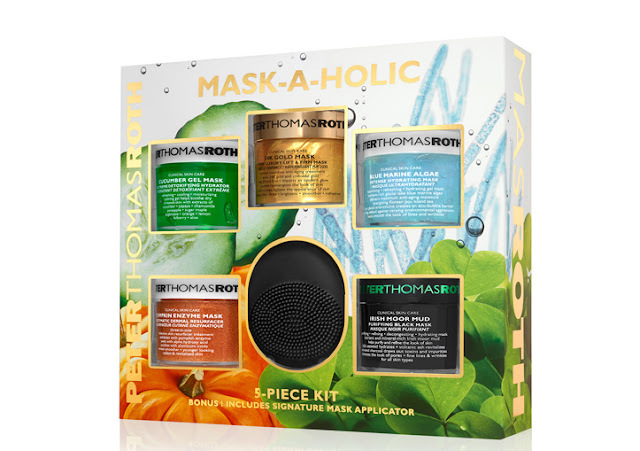 Arghh... just a few days ago I bought Peter Thomas Roth's Maskholic Set RM318 on Sephora Malaysia (online only) because of my birthday voucher RM30. The Maskholic set has 5 types of mask, including the 23K Gold Mask that I really wanted to try. Since the kit comes with a PTR mask applicator (that black thingy in the poster below) that made me decide YES I'll spend my birthday voucher on this. 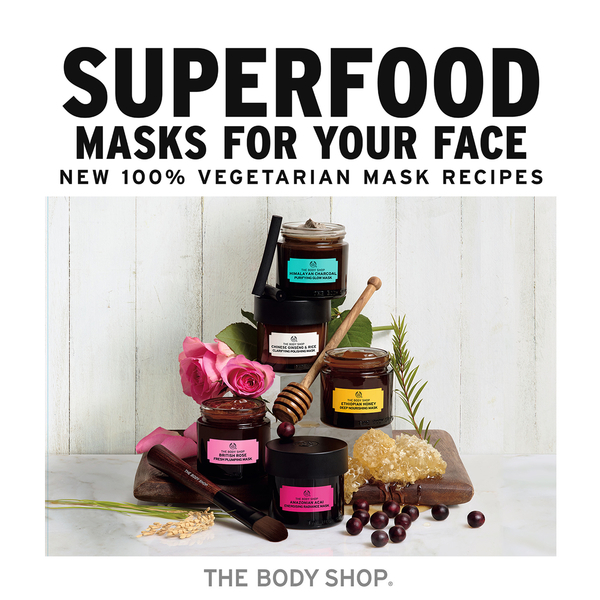 I also have The Body Shop 5 New 100% Vegetarian Mask Recipes packaged in beautiful glass jars. It was a Birthday gift from the Body Shop's PR (I love you, you know who you are!). Of course, I'm going to review them hohoho! If you haven't noticed yet, TBS is going through a revamp on their products and I totally love the luxe look and recyclable packaging they use. The 5 masks are inspired by superfood trends and traditional beauty remedies from all around the world. The best part is, you can mix and match the masks for your face! Omg such beauties... I'm getting a mask-gasm over this. But enough about masks, I want candles, candles and more candles! Especially ones in glass jars or package oh so beautifully that makes me feel I'm living the high life (but not). It's good reasoning to splurge on a good candle with a nice packaging because the packaging can be clean and reuse as storage solutions for jewelry, trinkets, what not and yes, home decor. I would say Voluspa has the best designs because they put so much in to make the packaging look as good as the candle. I am contemplating to order one now MySale.my a sale site which sells branded stuffs for the fraction of the price (with proper research first on the prices because Malaysia does sell some things cheaper). Why haven't I bought Voluspa yet on the site? Because I just banked RM300 on The Soi Candles to them. They were relatively cheaper than Voluspa, well considering Voluspa is more on the higher end brand. I've read about the Soi Candles when I was reading candle reviews online. They're a lot of good reviews about the brand so I wanted to try too. I've tried Voluspa a few years ago when they were selling at The Sunday, Bangsar Village 2 (closed down already). That's the same company with Ms. Read. The scents I bought was the Baltic Amber (bestseller) which has a romantic woody scent to it. The notes - Amber Resin, Sandalwood, Vanilla Orchid. Soi Candles from what I read, are made by 100% all-natural kosher soy oil. The idea was to create a healthier environment via beautifully crafted candles. Like Voluspa, Soi Candles are also hand-poured so you have that "it's not factory made" impression on it. They burn cleaner than paraffin-based candles, 40% longer than wax candles, are soot-free and do not emit any harmful toxins into your home. I read from Massage Mag who said "once the wax from these one-of-a-kind candles has melted, it can be used as a skin moisturizer and help remedy sunburns, eczema, psoriasis and poison oak" which quickly captured my interest to get my first soy candles. Candles that don't harm you, is biodegradable and can even be use as a natural moisturizer sounds interesting! So what did I buy? The Thai Lemongrass 2pc set - 510g Jar Candle + 227g Travel Tin Candle for RM49 instead of RM193. I also wanted something special, so I selected the Moon Sparkle from the signature collection (I bought like a lot of this). They have a variety of scents available, from sweet to spicy, floral to citrusy, and "edible" scents (does not mean edible). One other scent name caught my eye, it was the Goddess (Romantic Tahitian vanilla and white musk with a touch of bergamot). I recommended the Seaside Villa and Citrus Teak to Sydney so we all bought something lol. Sydney loves clean scents like cotton or fresh linen while I prefer woody or fruity scents. An Exotic & Energizing Blend Of Fresh Lemons With A Hint Of Fresh Cut Greenery. If you're thinking of buying you better buy now too because the sale will end and popular scents gets sold out fast (like all the woody scents such as teak or sandalwood is GONE! dam). You can buy them from Mysale.my. I get RM30 if my friends register and make their first purchase (eyes shinning). Sigh... I just realized how much money I spent when I wrote this post. I'm going to go to one corner and think about the life lessons I need ... (walks away quietly). No More 365 Days Sorry!